David has over 25 years’ experience of working at Board and Executive level from multi-national corporations to small companies of less than 100 staff; some of this was while living and working overseas in Japan and Switzerland. Most of this experience was gained in the Financial Services and Legal sectors with organisations including AXA, UBS and PwC. David’s last role, before becoming a coach and independent consultant, was 9 years as a Board member and Director of one of the UK’s leading commercial law firms. In 1986 David joined Coopers & Lybrand Deloitte (now PWC) as a senior managing consultant leading major change programs in the City during a time of huge upheaval in financial services. With C&L he transferred to Tokyo to run the firm’s growing Financial Services consulting practice in Japan. During this time he managed projects for many clients including helping some overseas firms become members of the Tokyo Stock Exchange and enabling other companies to establish their first operations in the Far East. After 2 years in Japan he joined one of his clients, Union Bank of Switzerland, as Vice President with responsibility for technology across the Far East region. During this period UBS grew to be one of the largest international banks in the region. After 5 years in Japan, David transferred to Zurich to take up the role of Global IT Controller for the Trading and Sales division of UBS, and it was during this time that UBS developed its first global risk management system. In 1993 David moved back to the UK to take up a senior role within Sun Life, a company that was subsequently acquired by AXA to form its core life, pensions and investment business in the UK. During the ensuing merger with Equity & Law David successfully led key elements of the integration program and was then appointed General Manager and Director of AXA Sun Life’s offshore investment management firm responsible for assets of over £½Bn. Following that he then held an executive level role responsible for around 500 staff in accounts, call centres, actuarial and customer services IT. During his time at AXA he attended the Leadership Trust’s core leadership program and was subsequently asked to become one of their external tutors, a role he has continued to fulfil to this day. In 2001 David left AXA to join one of the UK’s top 30 law firms as IT Director and board member responsible for IT, Information Services, security, business continuity and procurement. During the 9 years that he held this role the firm grew from a regional practice into a nationally recognised firm, acquiring 2 other law firms and doubling the number of offices and staff. At the end of 2009 David left Bond Pearce to become independent – combining his two passions of working as a Leadership Coach and leading change programs as a consultant. 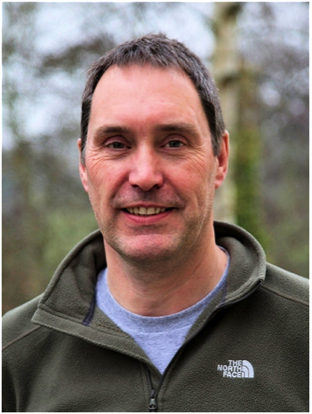 David is an accredited Course Director and Leadership Coach with The Leadership Trust and has been a tutor for the Trust on their Leadership programmes since 1994. He also holds a degree in mathematics from Durham University and an MA in coaching and mentoring.